Washington (CNN) – Haim Saban, a multibillionaire media mogul, said Monday he is prepared to spend "as much as needed" to get Hillary Clinton into the White House in 2016. While it is no secret that Saban, the head of Univision and a prodigious Democratic money man, is excited about the prospect of Hillary Clinton running for president in 2016, these recent comments to Bloomberg up the ante of his support. "I think she would be great for the country and great for the world, so on issues that I care about she is pristine plus, and I think she is ready plus plus and I hope that she makes the right decision," Saban said. Saban was a sizable Clinton supporter in 2008, spending and raising over $100,000 for the former senator. With the rise of super PACs, however, the media mogul will be able to do much more to help Clinton. Supreme Court decisions in the last six years have allowed private citizens to exert more influence in politics by giving money to outside organizations that in turn work to get a certain candidate elected. And with a handful of super PACs already working to urge Clinton to run for president, Saban has a number of avenues for his large fortune. Saban said earlier this year that a Clinton presidency would be a "dream," and told an Israeli newspaper in December 2013 that he will "pitch in with full might" to get Clinton elected in 2016. In addition to his political contributions to Clinton, Saban has donated between $10 and $25 million to the Bill, Hillary and Chelsea Clinton Foundation. The irony in Saban's claim is that last week Clinton denounced outside money in politics, stating that she would consider backing a constitutional amendment to limit outside influences. "I would consider supporting an amendment among these lines," Clinton said responding to a question during a Facebook question-and-answer session. "That would prevent the abuse of our political system by excessive amounts of money if there is no other way to deal with the Citizen's (sic) United decision." 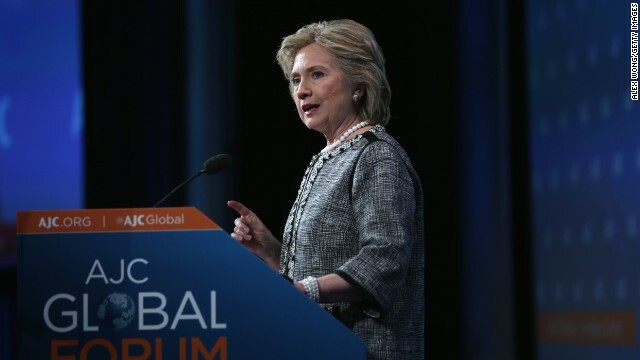 Clinton is widely considered the frontrunner for the Democratic presidential nomination in 2016 and has admitted in the last few months that she is seriously considering a bid. "Obviously she has a life to lead and she is going to be a grandmother soon, so all of that will obviously be taken by her into consideration," Saban said about the prospect the Clinton runs. Saban, who was born in Egypt and raised in Israel, is worth an estimated $3.5 billion and now works as the executive chairman of the company that owns Univision, the massively popular Spanish-language broadcaster. Republicans and some nonpartisan observers have questioned whether someone so closely tied with a major American broadcaster should be so chummy with a prospective presidential candidate. Univision is a major partner in a key Clinton foundation program, Too Small to Fail, which encourages parents to talk with their kids at a young age. Clinton’s partnership with Univision is focused on encouraging Hispanic families and caregivers to speak in either Spanish or English with their children as a way to develop language skills. Earlier this year, the Republican National Committee called out the partnership as an avenue for "2016 propaganda," while Raul Reyes wrote a column in February that questioned whether the "Hillary-Univision deal cross(es) a line." Saban? Doesn't sound like Finnegan. Who cares what he thinks. Let him waste his money. And do you think this guy will also saturated his Spanish channels with non-stop pro-Clinton propaganda worth billions? of course. Don't complain about it. The SCOTUS said that money is free speech, which makes it all fine and dandy. I think most liberals would rather not see money flooding into politics like this, but conservatives seem to prefer it this way.